Upon seeing the title of this book you might first assume that it is a fascinating and brilliant mash-up of Emma and Pride and Prejudice, and while you are correct about the story being both fascinating and brilliant, the heroines of this tale are not Emma Woodhouse and Elizabeth Bennet; they are the youngest and eldest Watson sisters, Emma and Elizabeth – characters from Jane Austen’s unfinished and abandoned fragment known as The Watsons. Instead of writing about any Bennets, Elliots, or Austens, author Ann Mychal makes her Austenesque debut with a novel that tells the story of the recently reunited Watson sisters and their lives in Stanton, a quiet village in Surrey. It is always regrettable when a great author, composer, or artist leaves an unfinished work, especially when that work has the potential to become a masterpiece. Jane Austen began penning the novel Sanditon or, “The Brothers” as it was originally titled, during the last few months of her life. It was unfortunately abandoned around chapter eleven due to her declining health. 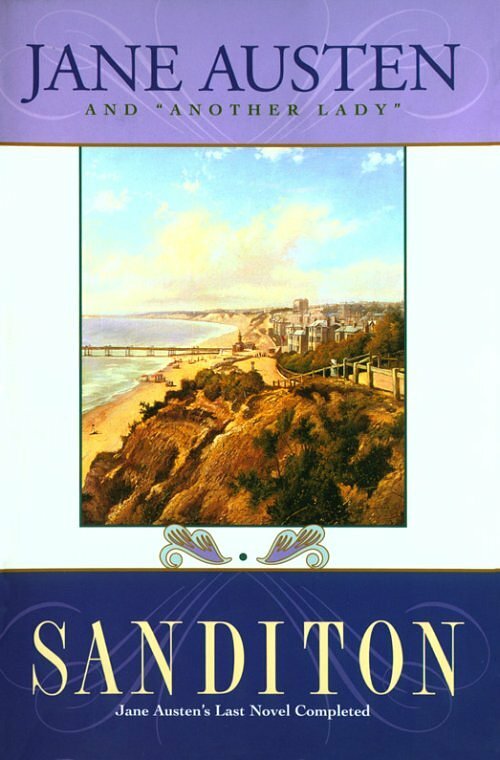 In these precious chapters we are introduced to a new seaside resort called Sanditon, an emerging community that offers seaside pleasures such as sea-bathing and picturesque walks. In addition, this fragment is brimming with Austen’s customary array of diverting characters along with her ironic and satirical tone which is more biting and burlesque than ever!